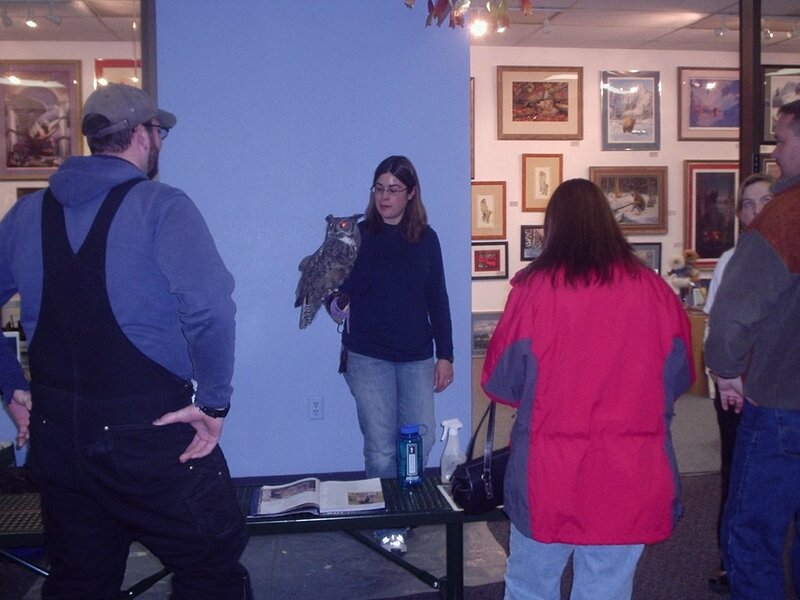 Owl-A-Ween 2005 was a HOOT! 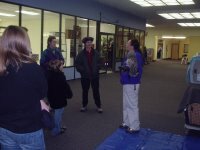 There was a great turn out by the Bird TLC education owls and there also was a great turn out of owl fans. 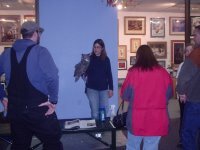 People came from all over to see the owls at Ship Creek Mall yesterday. There was a young man of 72 who saw our article in last Sundays paper. 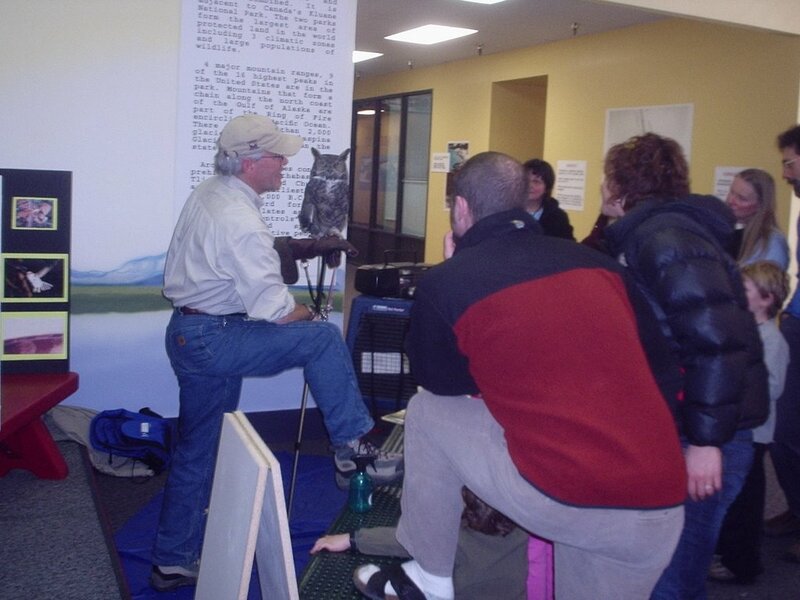 He came to see the owls and brought pictures with him of the owls from around his homestead. There were tourist up from Seattle, Portland, Texas and else where's as well as people from the Anchorage area. The place was packed. The owls that were there are as follows; 2 great gray owls, a barred owl, 2 great horned owls, a short eared owl, a saw whet owl and a northern hawk owl. You could tell the crowd was excited to be there and so were the presenters. 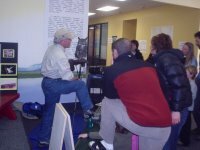 If you missed it, there are presentations every Saturday at the Ship Creek Mall from 2-3 PM. There's a different bird being presented every week until May. 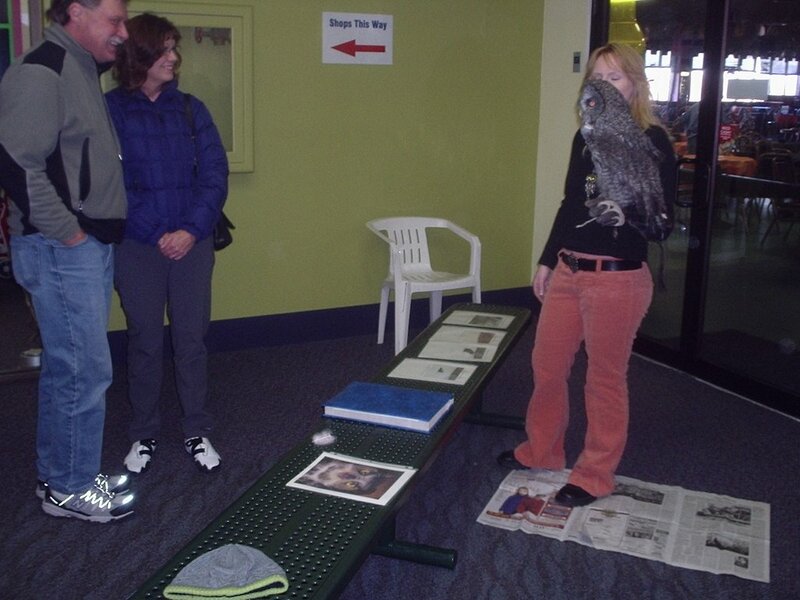 For a full schedule, go to the Bird TLC web site main page and click on view my calendar. There you'll also find out what else is going on at Bird TLC. Thanks to the great crowd, thanks to all of the presenters and thanks to the owls. To all who took pictures, email me at webmasteratbirdtlc.net and I'll post your pictures and mention who took them. Also, we just had a presenters class graduate just before Owl-A-Ween started. Congratulations to all of the new presenters.